Welcome to Kurilpa Junior Kindy! 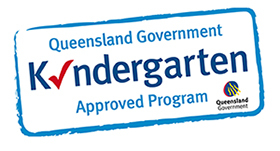 In the Junior Kindy room, we work in conjunction with Kurilpa’s philosophy which includes working with families to communicate relevant information concerning the children’s needs and development. 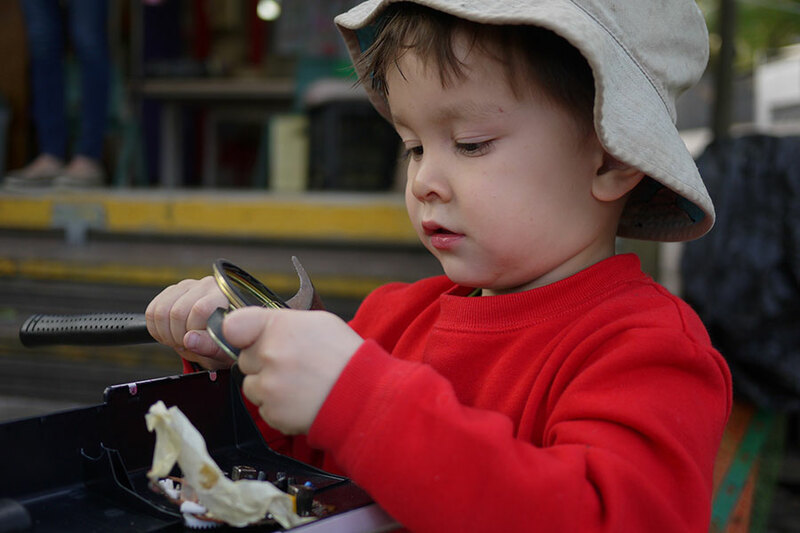 From our knowledge of each child and through the feedback we receive from you, our observations and interactions with your children; we act as a guide to enhance your child’s development through play, exploration, discovery and risks. 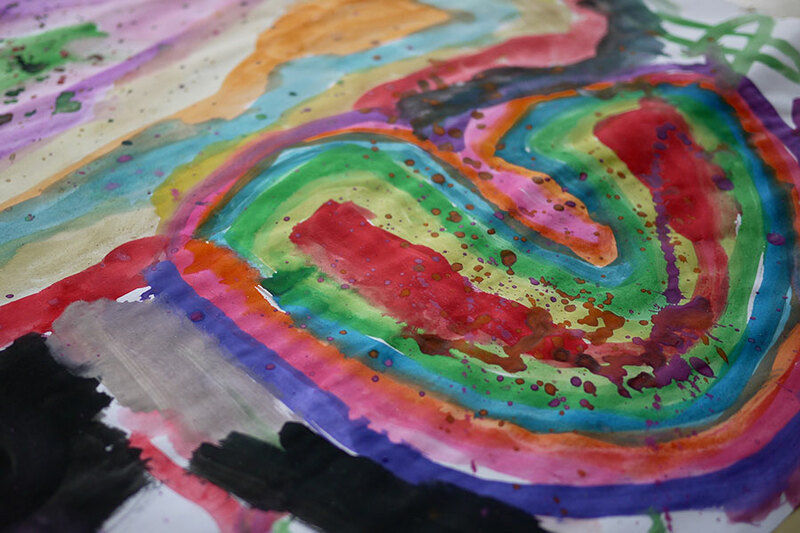 We believe each child is unique and special and it is important they feel safe, secure and support from all of those around them here at Kurilpa. 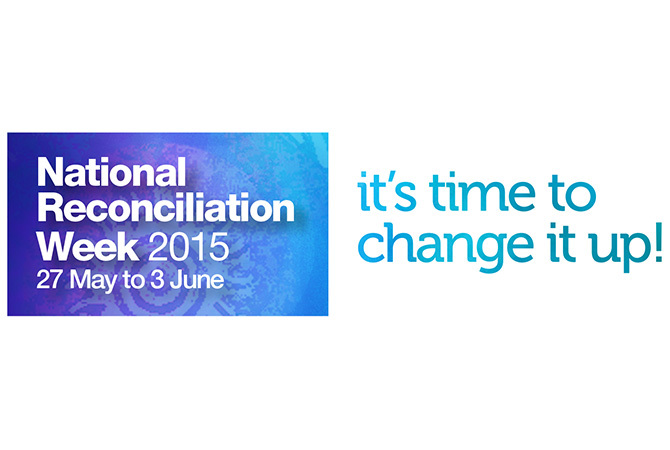 Independence is encouraged and relating positively to others to enhance their self-esteem. We enable a play based program for the children which draws from the children’s natural desire to engage in experiences. When children play, they motivate themselves to learn and develop in positive ways. Further information about the care and education of our Nursery children can be found in Education and Wellbeing. 7.30am Kurilpa opens. Families arrive, unpack children’s belongings into their lockers and apply sunscreen. All children stay together until 8:00am when we separate from the Nursery and Toddler children. 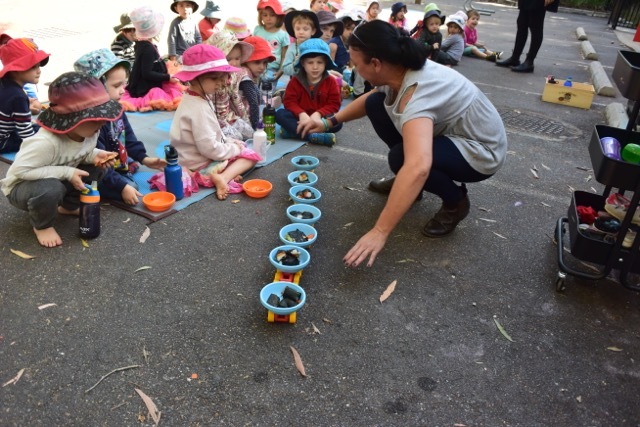 8.00am Junior Kindy outdoor time. This is time for physically active play out in the yard. There are opportunities for the children to engage in imitative/dramatic play with various props and tools. 9.30am Toileting and hand washing. We enjoy a group morning tea outside. 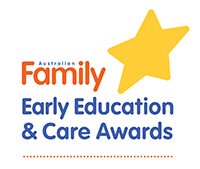 10.30am Pack up the yard and transition inside to the Junior Kindy room. 10.45am Group time – welcoming the group, stories and discussions about ideas and plans for the day. 11.00am Indoor play with a choice of activities: construction, creative art, dress ups, role play, puzzles, home corner and books. 11.30am Pack up the room and move to the group time mat. 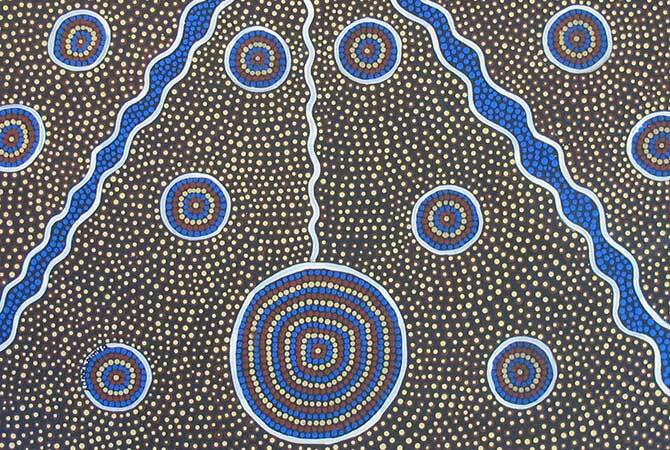 11.45am Circle time – songs, dance, movement, show-and-tell and story-telling. 12.00pm Lunch. Educators role-model table manners and encourage conversation around healthy eating. 12.30pm Toileting and rest time. One educator clears the tables and the other monitors toileting. 12.30-2.30pm Rest time – 45 minutes of non-stimulated activity, books and quiet activities on beds at 1:15pm. 2.30pm Toileting, sunscreen, pack-up beds and hand washing. Children are encouraged to either read books on their beds or perform quiet activities at the table during this time. 3.20pm Move outside to combine with the Kindergarten class. 3.45pm Early staff member leaves and is replaced by a float. We acknowledge that entrusting someone else with their child’s care is a big step for parents. We also acknowledge that no-one knows a child better than their parent, and this is why we place a strong emphasis on building positive and trusting relationships with families. During the orientation stage we ask that parents visit with their child at least 6 times, this gives us time to get to know you and your children and gives us a greater understanding of you and your children’s expectations and requirements. You as parents provide us with invaluable information regarding such key details as your child’s nature, strengths, needs, routines, interests and so on. 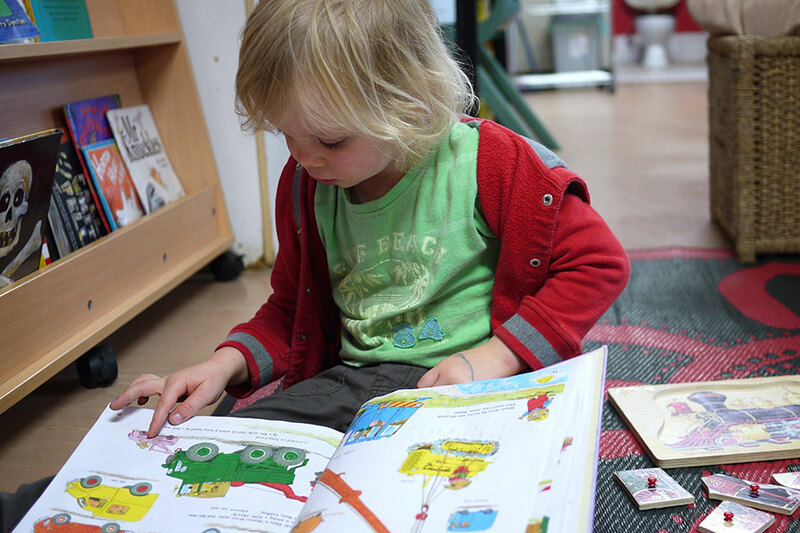 In the Junior Kindy room, we program for the child as both individual and in group settings. We do this by observing the children whilst taking into account their interests, interactions, strengths and abilities to challenge them and further extend their knowledge. The experiences we plan are developmentally appropriate and achievable goals are set. We display our weekly program and the children’s suggestions for the day on top of the lockers along with the ‘Daily Journal’ where we share images and expressions of their day at Kurilpa. Each child also has an individual journal where we compile work samples of their learning journey in the room. We invite families to take these journals home with them regularly so that they are able to reflect on these events with their children. The observations recorded in the children individual journals are written and compiled in accordance with the Early Years Framework. 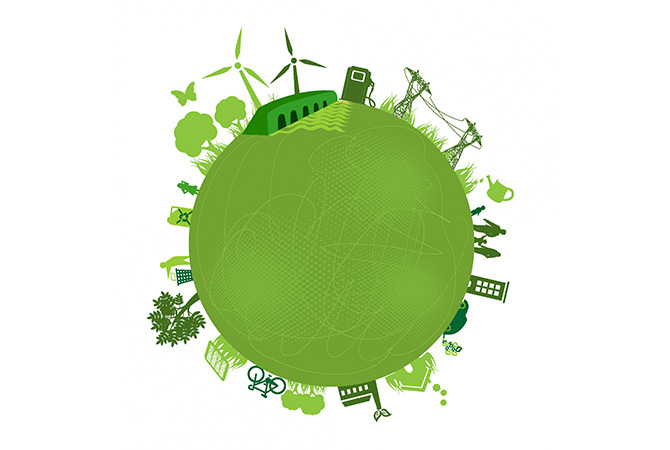 We also welcome any ideas you would like to contribute for the program. Activities outdoors on the larger outdoor equipment are planned to stimulate gross motor development. 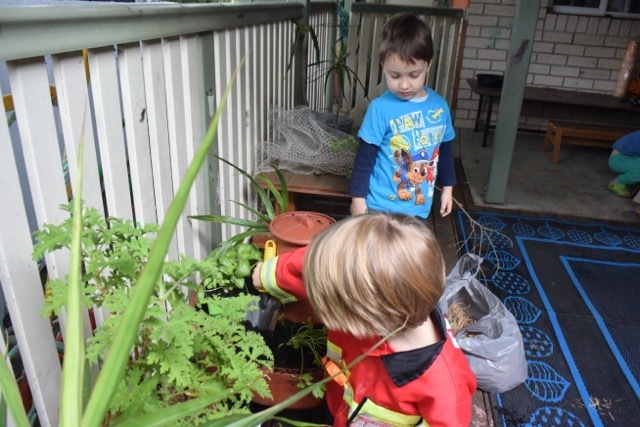 An array of outdoor experiences as set up outside and are both spontaneous and teacher initiated. 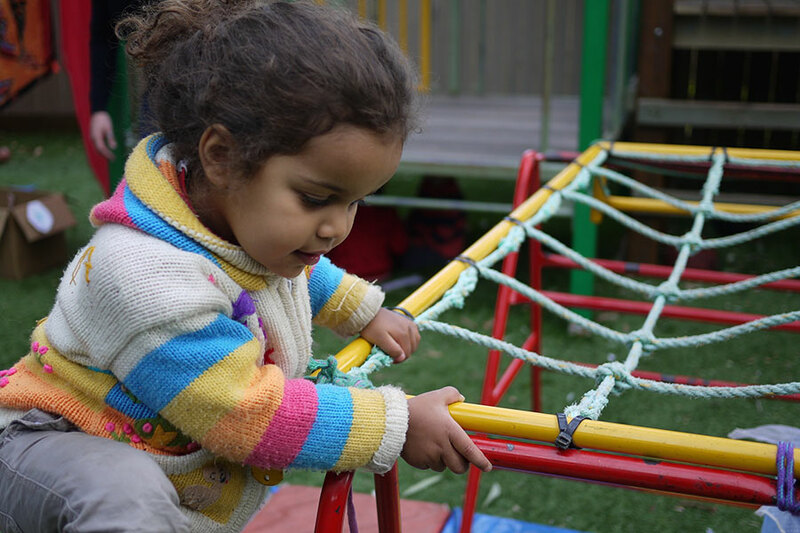 Outside you will find play experiences set up and designed to cater for the needs of all children, the children will explore many learning areas outside such as; risky play, co-operative play, quiet play, adventurous play, messy play and role play experiences, etc. Indoors, you will experience a similar approach to outdoor. The room is set up to foster the children’s interests and needs. 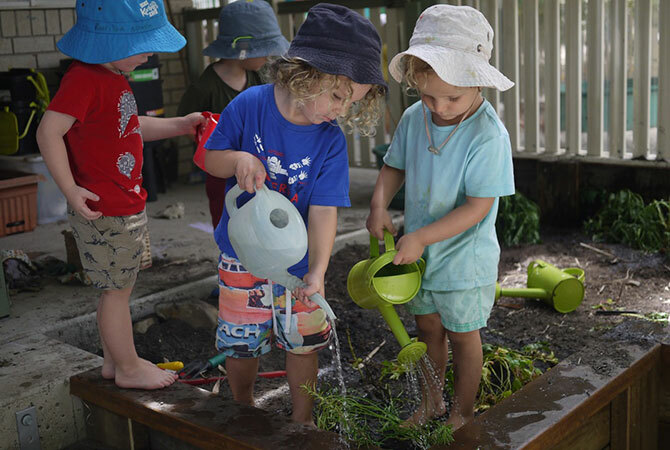 We offer the children; making areas, early literacy and numerous experiences, dramatic play, social and cognitive play, quiet reflection areas, fine motor and gross motor experiences, just to name a few. By the age of two, children begin to develop an interest in role playing and imaginative play, home corner is a busy part of the room which stimulates creative and cognitive development. 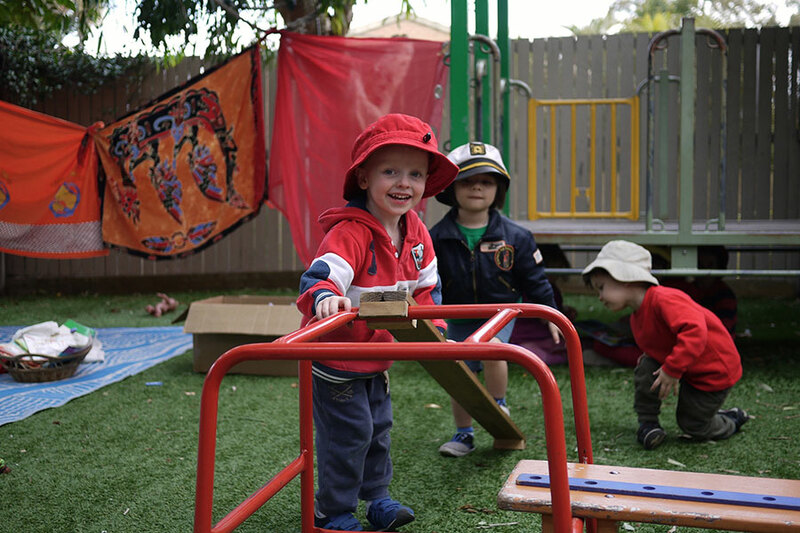 These are just some of the many experiences your child will experience both inside and outside of the Junior Kindy room.